Artificial Intelligence (AI) is the idea that the fuzzy aggregate of abilities we collectively call “intelligence” can be realized artificially – specifically, as an algorithm. It’s no surprise, then, that AI faces two historical difficulties: (1) how to build an information processing device to implement such a conjectured algorithm; (2) how to fine-tune that fuzzy notion: intelligence. Nowadays’ computers only capture in a rough way some aspects of that notion – typically, the “non-logical”, analogical, associative, and contextual. But ordinary computing machines sometimes don’t do well also when they play at home, in the fields of logic and mathematics (think about factoring large integers and non-polynomial problems). To address the two problems, the iLabs research laboratory focuses, respectively, on two basic ideas: (1) a theoretical isomorphism between physical and informational reality; and (2) an extensive formal development of the notion of model of reference (MoR). 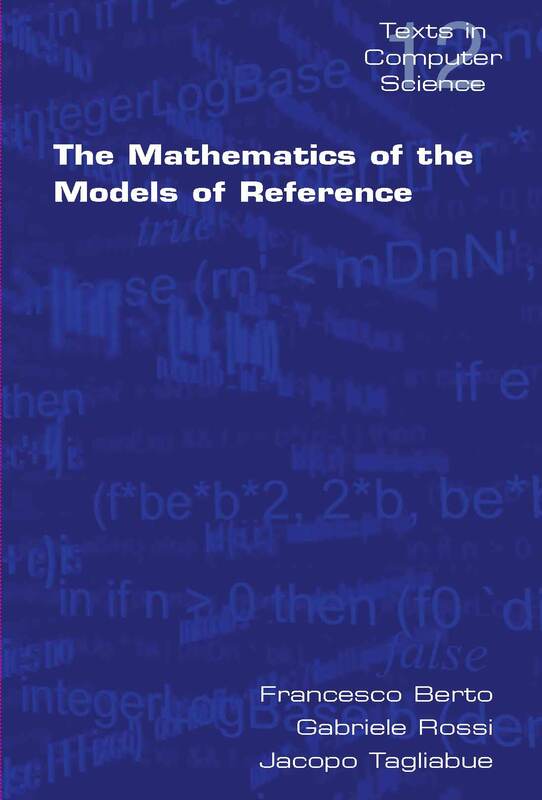 Such a formal development is the mathematics of the models of reference. As for (1): at iLabs, we believe information to be rooted in physical reality from its very bottom. We believe that what goes on in the world can be tersely, but correctly, described by claiming: what the universe does at any instant of time is a computation its overall state at the following instant. Therefore, Artificial Intelligence is not that artificial: the good information processing devices are out there! And this is so, because universal computation is embedded in the ultimate essence of reality. with x1, x2, … , xn ∈ A, and y ∈ B. At the bottom of reality, a MoR works as a simple change in the informational patterns of the smallest physical items constituting our world (more on this soon). At the human level, it is what explains our behaviour in terms of how we perceive and elaborate information. Generalizing: models of reference (MsoR) are fractal items displaying isomorphic structure at any level of reality. Thus, they are our most promising candidate to the theoretical role of functional interface between matter and computation. You can read this page because the relevant MsoR are activated in your eye, in order for it to process visual stimuli and send certain signals to the area of your brain taking care of vision. A frog can grab a fly by activating several hundreds of MsoR. Dually, we are phobic, or sick, or develop cancer, because our mind, our body, our cells, activate the “wrong” MsoR. Arithmetic operations, business software, or the proof of a theorem in universal algebra, are MsoR as well. What follows is an overview of the results spelled out with the due formal details in the iLabs book, where the theoretical options to be exposed are also philosophically defended. This book clearly illustrates the formal results obtained within the framework, clarifies and defends our assumptions and open new perspective for the multidisciplinary modelling of the physical and informational universe.